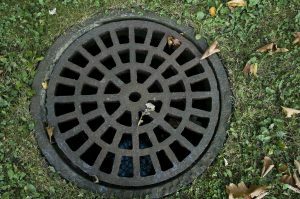 The Canadian Competition Bureau has concluded its investigation into a scheme to rig bids for sewer services contracts in Quebec. The tendering authorities were unaware of the bid-rigging scheme. A seventh Quebec-based company pleaded guilty to the offence of bid-rigging under Canada’s Competition Act in this case. Bid-rigging is an agreement or arrangement where individuals or companies agree not to submit a bid or tender, or agree to withdraw a bid or tender, or where individuals or companies submit bids or tenders that are arrived at by agreement or arrangement unbeknownst to the person that issued a call or request for bids or tenders. Bid-rigging is a criminal offence that is punishable by up to 14 years in prison and/or a fine in the discretion of the court. In the case at hand, a seventh guilty plea concluded a Competition Bureau investigation that led to charges in 2011 against six companies and five individuals for rigging bids for 37 calls for tenders for municipal and provincial sewer services in 2008 and 2009, with a total value of over $3 million. In total, six companies and one individual pleaded guilty for their participation in the bid-rigging scheme. Fines totaling $353,000 were issued and one individual was ordered to do 100 hours of community service. The Bureau learned of the bid-rigging when a participant in the scheme applied to the Bureau’s Immunity Program. Another participant co-operated with the investigation by way of the Bureau’s Leniency Program. Companies or individuals involved in bid-rigging can apply to the Competition Bureau for immunity or leniency. The Bureau’s Immunity Program gives the first party to disclose an offence not yet detected, or to provide evidence that leads to convictions, immunity from prosecution. The Leniency Program gives co-operating parties who are not first-in-line under the Immunity Program, consideration for lenient treatment in sentencing. Because of the seriousness of the conduct, any individual who pleads guilty or is convicted for bid-rigging is not eligible for an absolute or conditional discharge. For minor offences or first-time offenders, the court has the power to grant a discharge that immediately (or at some future date) nullifies or erases that individual’s criminal record. This happens when it is in the public interest to do so. Discharges also help to incentivize individuals to co-operate with authorities and to plead guilty where appropriate. In that a discharge is not an option in the circumstances, companies and individuals should seriously consider applying under the Bureau’s Immunity or Leniency Programs. Affleck Greene McMurtry helps companies and individuals navigate and respond to Competition Bureau investigations and to apply for and participate in the Bureau’s Immunity and Leniency Programs.